Four separate businesses make up the Flagstaff Design Center; Cabinets by Sun Ray, Northern Arizona Stone Creations, Floor Coverings International, and Superior Window Fashions, offering the most comprehensive home design solutions to Flagstaff and Northern Arizona. 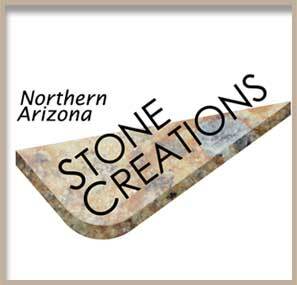 Stone Creations is a well established business fabricating countertops in the Flagstaff area for over 16 years. and good reputation, the majority of our business arrives to us by referrals from past customers. The Owner's of the company are involved in all aspects of the every day business. They over see all jobs that leave the doors of the shop giving their stamp of approval. The Stone Creations Team takes pride in fabricating high quality producst and providing great customer service.